Sydenham is divided east west by Brougham St, to the north are industrial warehouses and to the south is predominantly residential. Sydenham is also divided by Colombo St, which runs north south and is a busy through street connecting people in southern suburbs to the CBD. 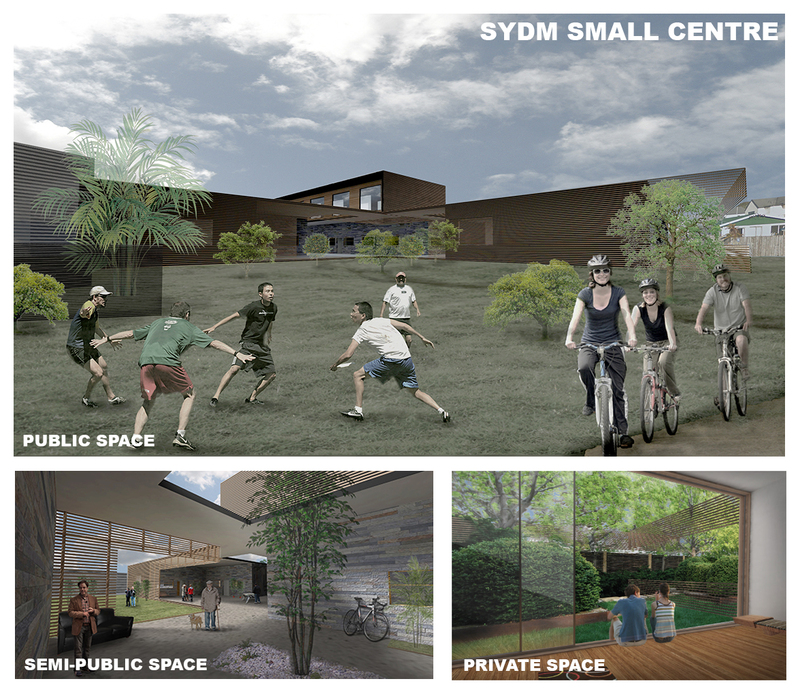 The urban strategy for this project was to mix up the industrial with the housing, and create sub-centres within Sydenham. 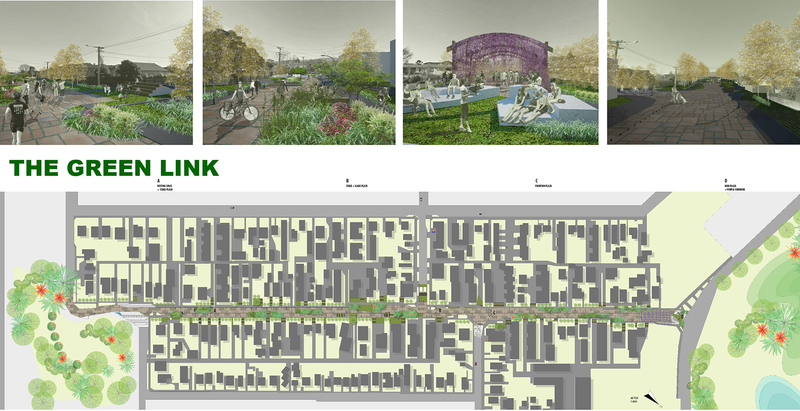 Each centre would be identified by a local park and connected by a green path to the nearest centre, making walking and cycling the preferred form of transport within the area.